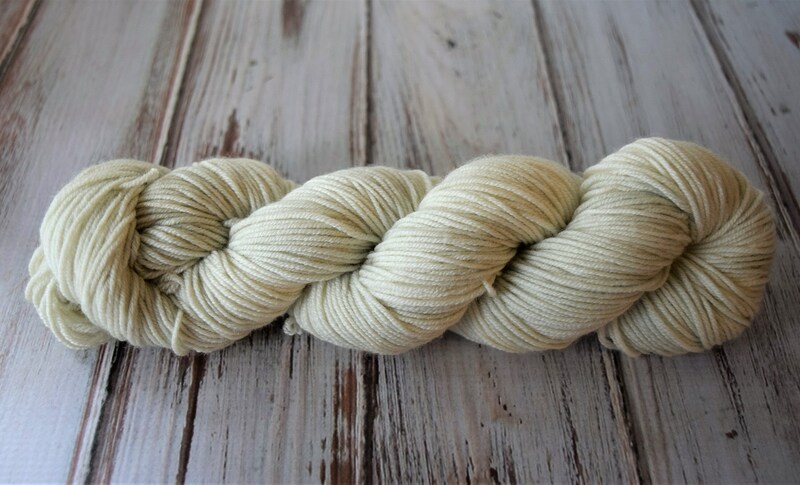 All of our yarn is hand dyed in small batches, making each skein unique. The specific skein in the photo may or may not be the one you receive, so please allow for variations within each colorway. Also, please keep in mind that listing photo colors will vary slightly from screen to screen. It is highly recommended that you order what you will need for your project from the same dye lot if possible, as colors will vary from batch to batch. If using multiple skeins, alternate skein every second row to prevent pooling. While this product is made of Superwash Merino wool, hand washing in cool water is highly recommended, followed by lying flat to dry. Dye may bleed slightly (especially with super saturated colorways) during first washing or two, so using something like a color catcher sheet is recommended. Beautiful yarn, beautiful feel! Knits up like a dream!! The yarn is from @thistleandhart. Always in awe of Becky's beautiful yarn. Thank you. Wool, even superwash wool, is best cared for by hand washing with a gentle detergent or wool wash in cool water. Laying your item flat to dry will not only help to prevent felting, but also will help maintain the shape of your finished product. I do occasionally take custom orders, so feel free to contact me and we can chat about what you're looking for, available bases, processing time, etc.! For wholesale inquiries, please email info@thistleandhart.com for more information.